The Americans with Disabilities Act (ADA) lays the foundation for the responsibilities of employers with 15 or more employees — including nonprofit employers — with respect to disabled applicants and employees. 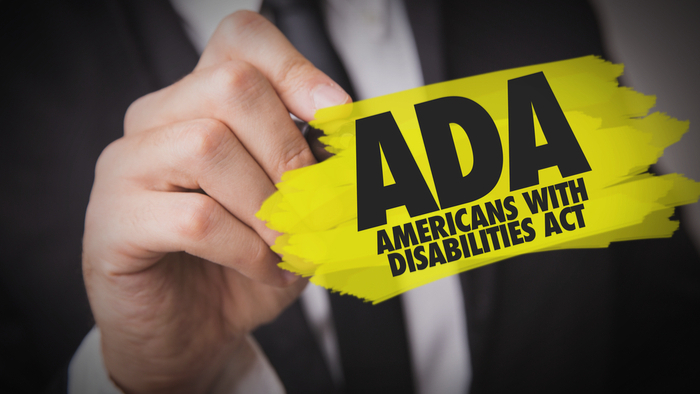 Failure to comply with the ADA can result in the loss of valuable employees and damaged morale and may come with a hefty price tag. Nonprofit board members should ensure that their organization is in compliance. The legal definition of “disability” is broad. Obligations under the ADA begin before the employee is even hired. The burden of recognizing the need for accommodations falls to the employer. Disabilities covered by disability insurance are not the same as disabilities under the ADA. Compliance standards may differ by state. Since you are interested in Tech for Good, have you read these selections from Giving Compass related to impact giving and Tech for Good? Giving Compass' Take: • This TriplePundit post examines systems thinking — how parts of a broader system fit together — and its influence on environmental, social and governance investments over the next year. • In what ways can we turn systems thinking into action? Which opportunities for social change through mobilizing capital will hold the most promise? • Here are four more lessons for effective systems thinking. Amidst all of the important improvements in environmental, social and governance (ESG) data, all of the thoughtful research reports, and all innovative new investment options, another, deeper trend has taken root. As we turn towards 2019, we see increasing evidence that systems thinking is becoming more prevalent and influential throughout corporations and the investment community. This subtle, under-the-surface development is one of the most vital requirements for effective long-term investing. Why is this wonky-sounding idea important? Systems thinking is a deceptively simple concept, a holistic approach to analysis that focuses on how parts of a broader system connect and relate to one another. You know that old saying, the whole is greater than the sum of the parts? Systems thinking aims to understand the whole, in addition to the individual parts. Systems thinking is a close cousin to common sense, but it stands in contrast to the arc of development of our analytical and educational tools. Over time, these tools have focused on more and more narrow lines of inquiry, examining more and more specialized questions. This expertise is needed, of course, but it is even more powerful when our specialized knowledge is combined with an understanding of the greater context. Read the full article about systems thinking in 2019 by Katherine Collins at TriplePundit. If you are interested in Poverty, please see these relevant events, training, conferences or volunteering opportunities the Giving Compass team recommends. In addition to learning and connecting with others, taking action is a key step towards becoming an impact giver. If you are interested in giving with impact for Poverty take a look at these Giving Funds, Charitable Organizations or Projects.